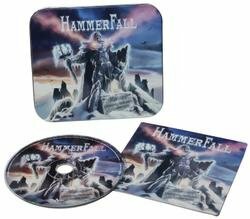 HAMMERFALL - CHAPTER V: UNBENT, UNBOWED, UNBROKEN LTD. DOSE (CD IN METALBOX) | Online Shop | Wizard LTD. Album: "CHAPTER V: UNBENT, UNBOWED, UNBROKEN LTD. DOSE (CD IN METALBOX)"